Royal jelly is a nutritious substance secreted by young nurse bees. It contains proteins important for cell growth and reproduction. Just like honey, it comes from beehives – although bees produce it for entirely different reasons (and it has a spicy-acidic sweet taste). While honey serves as food for the worker bees, royal jelly is food for the queen bee. More importantly, it has antitumor and healing properties. 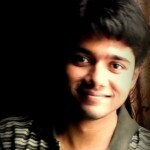 In this post, let’s see how the jelly can benefit us. How Is Royal Jelly Good For You? Royal Jelly Vs. Honey – What’s The Difference? What Is The Nutritional Profile Of Royal Jelly? Royal jelly typically contains 60% to 70% water, 15% proteins, and 2-3% vitamins and amino acids – all of these contribute to its benefits. Research shows that taking royal jelly on a regular basis can lower the bad or LDL cholesterol levels. It can also treat infertility and high blood pressure and can be a good aid in the treatment of various forms of cancer. That’s a brief about the goodness of royal jelly. Now, we get to more details. The antioxidants in royal jelly can boost immunity and fight cancer. It contains important neurotransmitters that improve brain health and prevent conditions like Alzheimer’s. The jelly also balances hormones and might improve sexual health. Studies have shown that histamine (a compound that is released in the body in response to injury or allergy) response to allergens was suppressed post royal jelly intake. One study states that royal jelly has a lot of flavonoids and organic compounds – all of which can enhance performance by building immunity (1). The jelly can counteract allergens and even accelerate wound healing. However, more research is required in this aspect. 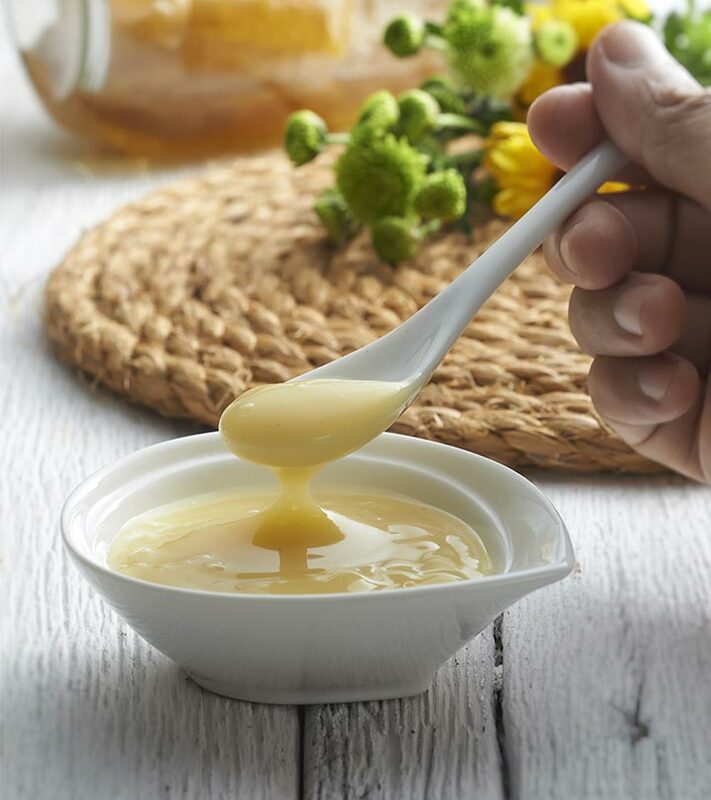 Royal jelly contains antioxidants that can protect the fatty acids in the brain tissue from free radical attacks – which means it has the potential to aid Alzheimer’s treatment (2). The nutrients in royal jelly can also treat chemical imbalances in the brain, which can otherwise lead to anxiety and stress. Royal jelly is also the only natural source of acetylcholine, which is a neurotransmitter that regulates memory and transmits messages from cell to cell. 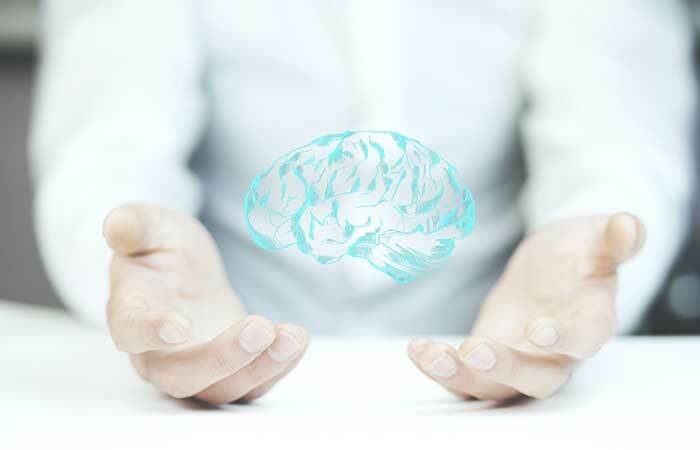 Optimal levels of this neurotransmitter in the brain can be linked to improved memory and cognitive function. Royal jelly might also treat depression. Royal jelly has been noted as a possible way to inhibit cancer growth. It has been found to stop blood supply to cancer cells, thereby halting their growth. The fatty components of royal jelly have estrogenic effects. Thus, women with estrogen sensitive breast cancer should consult their physician about its use. Other studies support cancer-lowering properties. One Iranian study showed how royal jelly could help treat cancer-related fatigue (3). Long-term supplementation of royal jelly was found to improve several diabetes indicators. The intake of royal jelly was also linked to some positive changes in glucose levels, although these changes were only long-term (4). Another study suggests that royal jelly supplementation may be beneficial in controlling unwanted side effects of diabetes (5). Though we need more studies to substantiate the facts, this is a step in the right direction. One Turkish study states that royal jelly, along with bee pollen, can decrease bone loss due to osteoporosis (6). It was also found to enhance internal calcium absorption, which can build bone health and prevent osteoporosis. Royal jelly is a good source of bifidobacteria, which are the beneficial bacteria that support digestive health. It is a useful probiotic that supports the health of the gastrointestinal tract. As per a Japanese study, royal jelly has anti-inflammatory effects that help treat periodontal diseases (7). Some sources suggest that it might also work as an arthritis treatment. 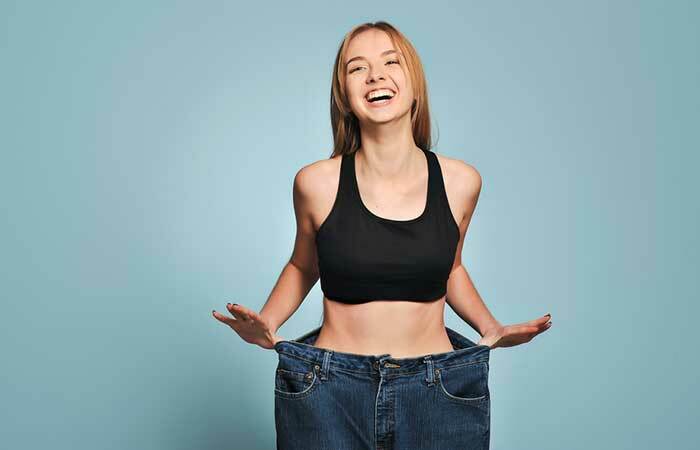 Though royal jelly doesn’t directly reduce weight, it can increase your energy levels – which, in turn, helps you workout harder, and that, eventually, leads to weight loss. And since it is low in calories and doesn’t have saturated fat, it can be a good addition to your weight loss diet. According to an Iranian study, supplementation with royal jelly can help in weight management in diabetics (8). The jelly might also boost metabolism, which, in turn, helps in weight loss. There is less information on this. However, one study states that the antioxidant properties of royal jelly have a positive effect on sperm production and motility – and this can enhance fertility (9). Animal research suggests that supplementing with royal jelly can enhance testosterone production. Though we need more studies on humans, the results look promising. Some sources also suggest that royal jelly can help treat erectile dysfunction. Royal jelly is known to interact with the hormones in the body, and this might boost libido. However, we need more research before we can arrive at a conclusion. Royal jelly contains antioxidants that fight the signs of aging. The jelly rejuvenates your skin, tightens the pores, and gives you a flawless look. It scavenges the free radicals that cause aging and imparts a healthy radiance to your skin. Royal jelly fights skin conditions like eczema, candida, and acne. It contains anti-inflammatory properties that reduce inflammation, eliminate bacteria, and improve the appearance of your skin. All you have to do is take some of the jelly, apply it to the affected areas and wash off after 20 minutes. Do it in the morning. You can also purchase royal jelly extract or powder to use for this purpose. For treating dark circles, take two tablespoons of royal jelly and apply it all over the affected areas. Keep it on for 20 minutes and then wash it off. Alternatively, you can also mix some almond oil with royal jelly and apply. Leave it on for 15 minutes and then wash with cold water. You can also moisturize your hands and legs with royal jelly. Apply it to your skin and leave it on for a maximum of 15 minutes. Wash off with cold water. You will surely see your skin change dramatically. You can also use it to lessen scars and dark spots and for making your skin glow. Take two tablespoons of royal jelly, some yogurt, and one egg white. Mix well and apply it to your face. Leave it on for 15 minutes, and wash off with cold water.Do this three times per week to keep your face smooth and clean. The protein and other vitamins in royal jelly can boost hair growth. Take some royal jelly and mix it with coconut milk. Apply the mixture to your hair. Leave it on for 20 minutes and then wash it off with cold water. You can also prepare a hot oil treatment for your hair – take two tablespoons of almond oil and mix with royal jelly. Heat for about 20 seconds in the microwave. Apply the mixture your hair and leave it on for 20 minutes. Rinse with cold water. Shampoo and condition as usual. This treatment can help eliminate dandruff and also make your hair shine. These are the benefits of royal jelly. But that is not all. Royal jelly comes from the same place as honey. Then, how do the two have different benefits? Royal jelly is a honey bee secretion that is used in the nutrition of larvae and adult queens. Raw honey is 100% unprocessed and retains all the enzymes, royal jelly, rich vitamins, minerals, and carbohydrates. That brings us to the nutrient profile of royal jelly. Well, you saw all the good things about royal jelly. But it’s time you took a look at the other side as well. There is not enough information about the safety of royal jelly during pregnancy or breastfeeding. Hence, stay safe and avoid its use. If you have asthma or other allergies to bee products, don’t use royal jelly. It might cause serious reactions, and in some cases, even death. There have been instances where royal jelly aggravated dermatitis. Hence, consult your doctor before use. The jelly might lower blood pressure – hence, exercise caution if you are on blood pressure medications as it might lower blood pressure way too much. You sure can include both royal jelly and honey in your diet – that way, you will receive the best of both. Tell us how this post has helped you. Simply leave a comment in the box below. How much royal jelly can you take in a day? For adults, it is 1 gram per day. And for children (over 5 years of age), the dosage is 0.5 grams per day. You can take it in the morning, after breakfast. Is royal jelly equivalent to B-complex? Royal jelly sure does contain all of the B-complex vitamins in substantial amounts. But we recommend, for optimal nutrition, you rely on whole foods and supplements – and not just royal jelly alone. How long does royal jelly last in the refrigerator? Royal jelly can be refrigerated for up to 6 months. What is ginseng royal jelly? Ginseng royal jelly combines the medicinal properties of Panax ginseng (also called Asian ginseng) and royal jelly – it is a herbal tonic quite popular throughout Asia. The tonic is helpful for combating fatigue, fighting infection, and managing blood sugar. What is 10-HDA in royal jelly? 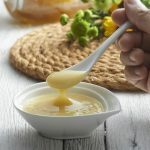 10 HDA is also known as 10-Hydroxy-2-Decenoic Acid, which is a natural unsaturated fatty acid in royal jelly that imparts cancer-inhibiting properties to it.Studies show that 10-HDA can help to prevent the spread of cancer and even induce cancer cell death, known as apoptosis. “Effects of propolis…”. US National Library of Medicine. “Effect of royal jelly on spatial…”. US National Library of Medicine. “Effect of processed honey and royal jelly…”. US National Library of Medicine. “Effect of fresh royal jelly ingestion…”. US National Library of Medicine. “Effects of royal jelly supplementation…”. US National Library of Medicine. “Royal jelly and bee pollen decrease bone loss…”. US National Library of Medicine. “Osteoinductive and anti-inflammatory…”. US National Library of Medicine.